Felix Neureuther – whoever hears that name, thinks of superb professional skiing at once. Few people actually know how much your mind influences this sport. Mental power and concentration are decisive factors in failing or succeeding. 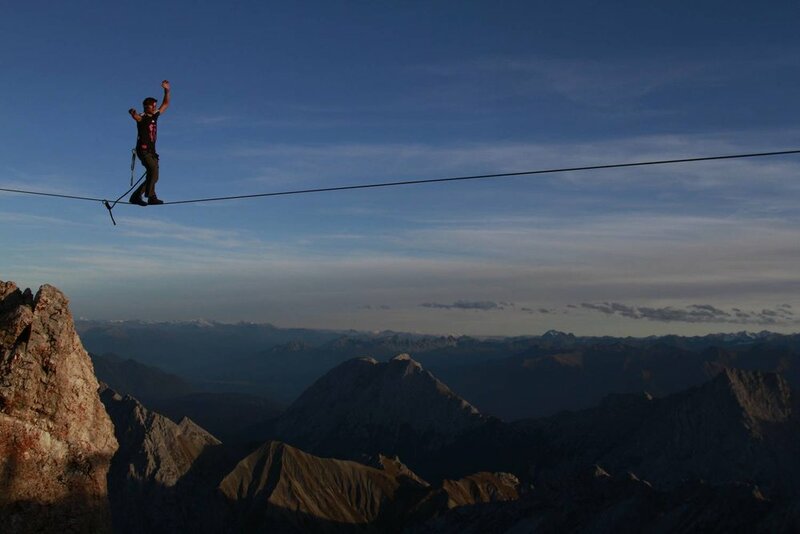 Felix Neureuther has got an insiders' tip for it: highlining. 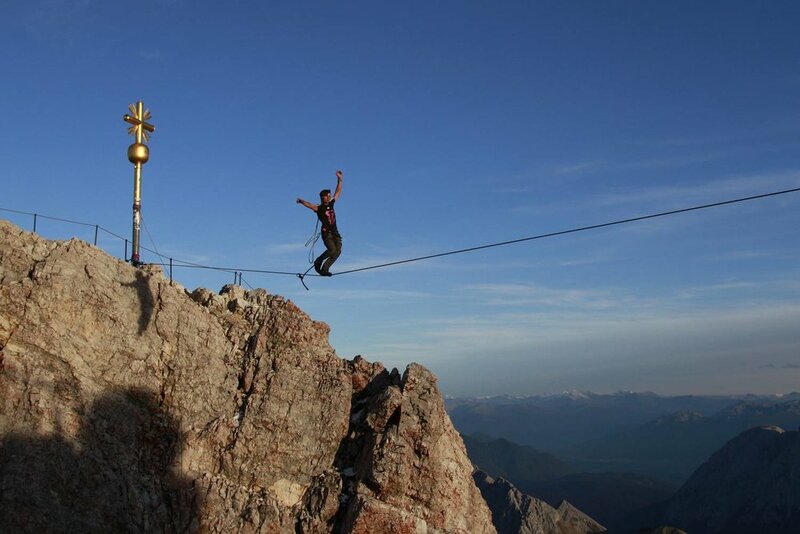 Balancing on a one inch wide line – exposed in the open at the highest peek of Germany – offers a perfect setting for fine tuning the mental and physical state of a competitive athlete. The professional set up – especially guaranteeing safety and supervision – are essential. It was provided by One Inch Dreams as well as the documentation in film and pictures.